CPU: 7th Gen Intel® Core™ i7; GPU: Intel® HD Graphics 615; RAM: 8GB LPDDR3; Storage: 256GB SSD. Specifications may vary depending on model and/or region. All models subject to availability. 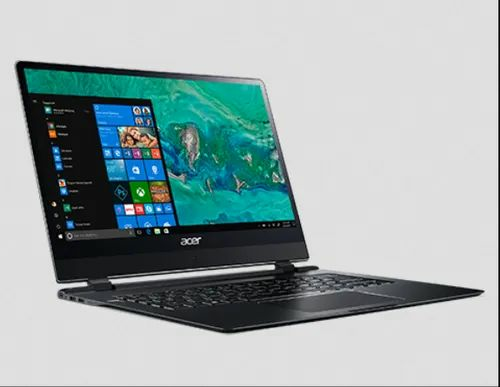 Based on an internal Acer survey of competing clamshell laptop designs available on the market, as of January 5, 2018, running Windows OS or OSX. 4G LTE speed and availability vary by area. Check your telecom provider for details. Special offer, restrictions apply. Click here for details. Battery life varies depending on product configuration, power settings and usage, among other factors.